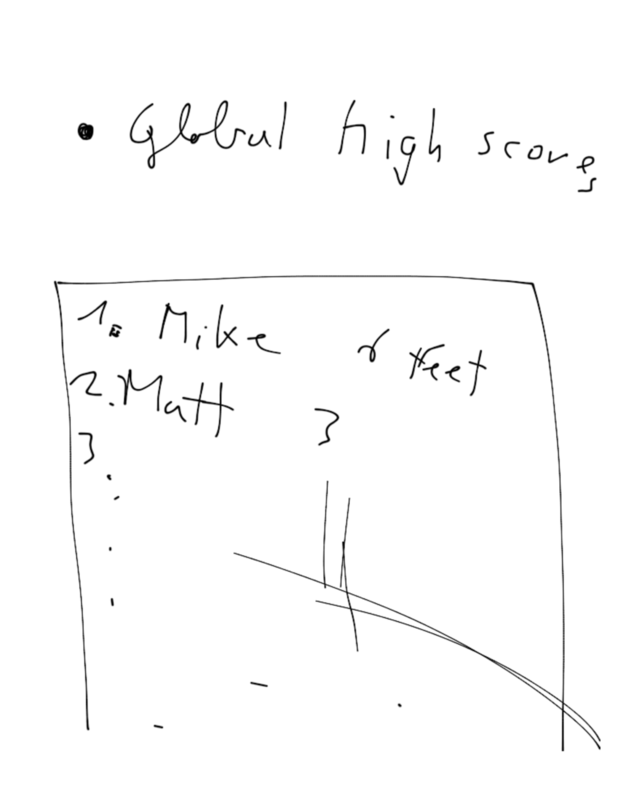 I received an email from Matteo, a 25 year old iOS developer from Switzerland, who had flown in to compete in the hackathon asking me if I would help design his game. Goal: create a game that measures how high you can throw your phone. Needless to say, I liked this idea from the start. A hackathon is an event in which computer programmers and others in the field of software development, like graphic designers, interface designers and project managers, collaborate intensively on software projects. [...] Hackathons typically last between a day and a week. How did we go about creating this application? Given the 24 hour deadline we knew this app was not going to be as feature complete as we would liked it. To speed up the process, I decided the leader-board would be combined with the interface to display scores, making it a single view. The application would start and end on this screen, we wanted to make it attractive. 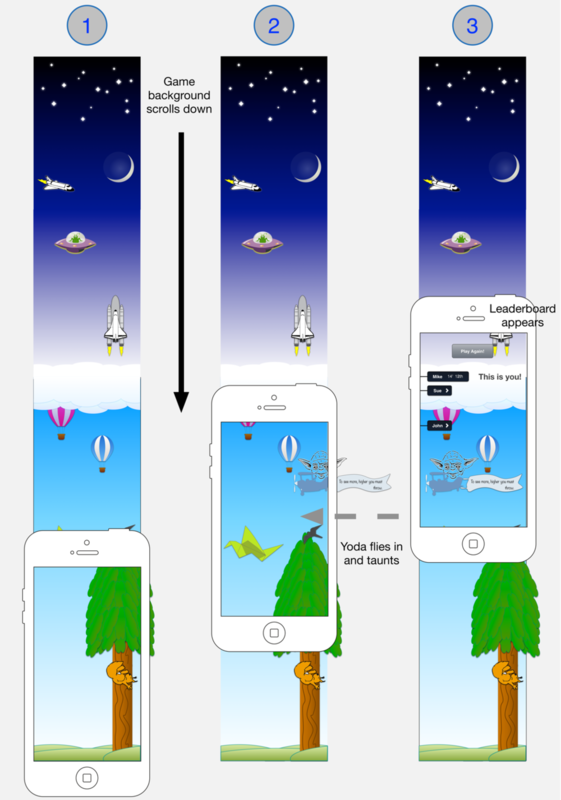 To save time, I made the graphics on the storyboard directly and used the original graphics in the app. 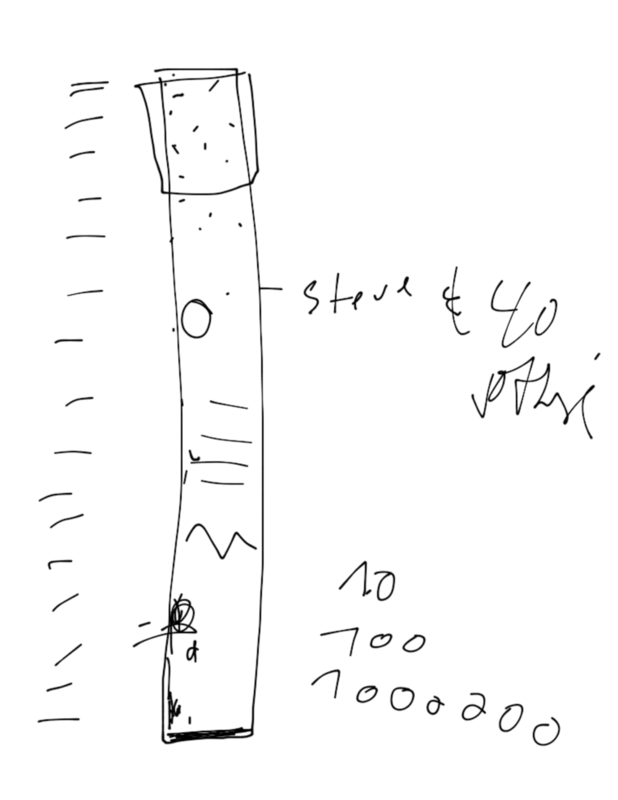 Brainstorming about how the app would work and be displayed was great, but would it be possible? Could we accurately measure the height that your iPhone was thrown? Matteo really impressed me here. 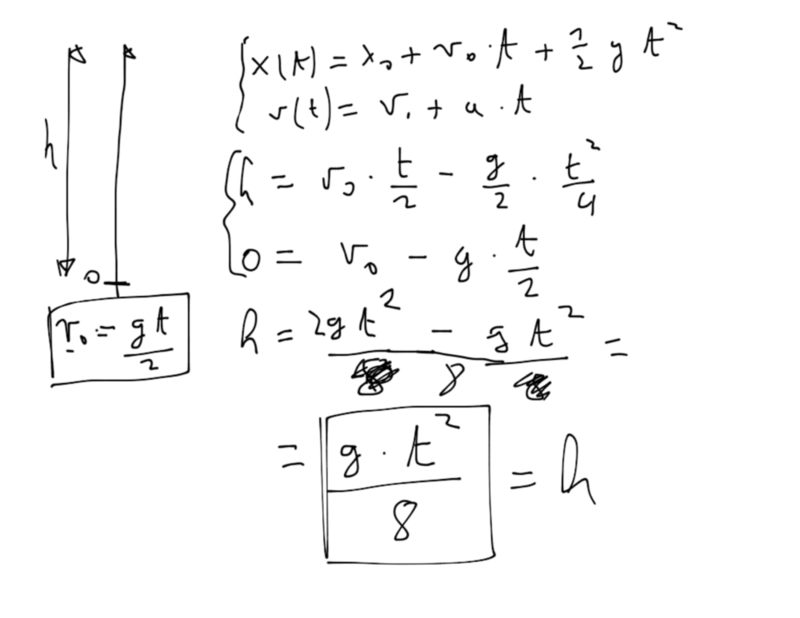 Grabbing my iPad as I was sketching some storyboard ideas, he drew out a full page equation to calculate such a distance using the phone’s accelerometer. I focused on sketching out a storyboard, creating the graphics and laying out the views while Matteo worked on the equation. LaunchMe won first honourable mention (4th place;). is a UI/UX Designer residing in San Francisco, California.